Call 1-800-450-5319 for a FREE quote or more information on auto transport to Eritrea through A1 Overseas International! Shipping your vehicle to Eritrea is a task that can’t be handled alone. Trying to stay organized with a million things on your mind is nearly impossible. When you hire professionals to handle the transport, you will have guidance throughout the entire process. 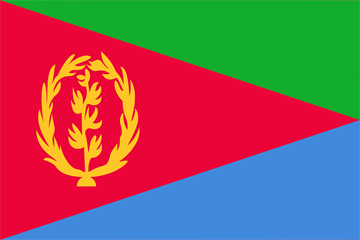 They will help you gather the necessary documents for Customs and oversee the process of shipping to Eritrea. Of course, those shipping the vehicle will have some responsibilities too. As the owner of the vehicle, you must contact the Embassy of Eritrea to get the latest auto import policies. You will have to make sure that the vehicle meets the criteria and that you provide proof. This can be a time consuming process, but your international auto transport company will be happy to help you. There are three forms of international transport. One of them isn’t as popular of an option due to its higher cost. It is often too pricey for most to afford. The other two methods are very cost effective and safe. Air transport is the shipping service that tends to be too costly. This is a very quick and efficient method, but often not used. RO/RO transport is the cheapest shipping service. The empty vehicle will be driven onto a ship and secured. It will be open to the weather and other elements. Enclosed transport is another method that many tend to use when they have other belongings they’d like to have shipped to Eritrea. This method allows the vehicle to be filled with possessions permitted under the country’s import policy. The empty container space can also be filled. This shipping method can be shared with another person to lessen the cost. Call 1-800-450-5319 or submit the form for more info!